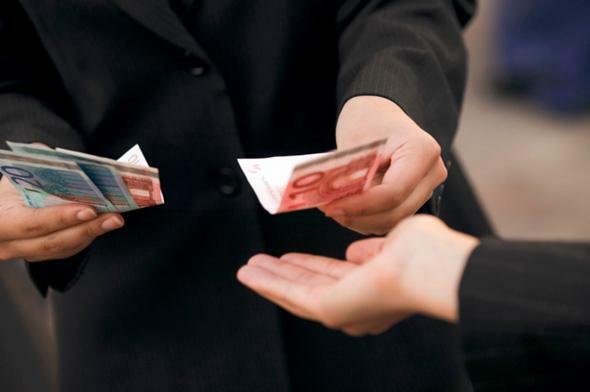 Austrian deputy economy minister Harald Mahrer says people should have right to use cash. In 2012, after living without cash for two months, Seth Stevenson wrote in Slate, “I won’t miss cash when it’s gone. And I doubt you will, either.” But Austria’s Deputy Economy Minister Harald Mahrer completely disagrees. He believes there should be a constitutional right to use cash in Austria so citizens have the option to complete transactions privately, without a digital record. Bloomberg Business reports that in a meeting on Friday, a group of European Union finance officials proposed ways to curb illegal transactions conducted with cash. The group recommended that the European Commission put limits on the size of cash transactions and reconsider how it regulates 500-euro bills. In the United States, businesses don’t have to accept cash and coins. The Federal Reserve says they “are free to develop their own policies on whether to accept cash unless there is a state law which says otherwise.” As mobile payments and digital transactions become more common, cash could get squeezed out not by regulation, but by businesses catering to payment trends. Perhaps privacy advocates will need to organize a campaign to make cash cool again. Lugging around a pocketful of change may seem onerous, but giving it up could be even worse.